Five months into your ketogenic diet and you have begun to shed weight. You look great and you feel amazing. Lately, though, it looks like your weight is not the only thing you’ve been shedding when you look at your hairbrush. You’ve heard of this happening with the keto diet but you decided to still give it a try. Are you really losing your hair like you feared you might? Before you begin to stress out over your hair (which, by the way, will only make the hair loss worse), you need to be aware of the myths surrounding the keto diet and hair loss. Or, if you have been contemplating starting the keto diet but are concerned about the stories you’ve heard about hair loss, it’s time to separate the facts from the fiction. The ketogenic – or keto – diet was first introduced in the 19th century to control diabetes. In the 1920s, it became an effective treatment for children with epilepsy until antiepileptic drugs were developed. Even today, it is sometimes used to treat epilepsy which does not respond to medication. This diet focuses on taking in sufficient protein and a high amount of fats while ingesting low amounts of carbohydrates (carbs). This, in turn, causes the body to burn fats instead of carbs for energy. If carbs are ingested, they are normally converted to glucose which your body and brain also use for energy. However, with the low amount of carbs present in the keto diet, your liver converts the high amounts of fat into fatty acids and ketone bodies. Your brain then uses the ketones as energy instead of the glucose. One by-product of this diet is the increased level of ketones in the blood – known as ketosis. This is what ultimately leads to the reduction of epileptic seizures by as much as 50% in half of the children who apply this type of diet. The keto diet is still being studied today for its effectiveness on cancer, diabetes, polycystic ovary syndrome (PCOS), autism, Alzheimer’s disease, and Parkinson’s disease. However, this diet – as well as some variations of this diet – does come with some not-so-great possible side effects such as constipation, high cholesterol, kidney stones, and – hair loss. It is important to note that not everyone experiences hair loss on the keto diet. While it is a reported side effect, it is not as common as the other side effects. It is important to look at other possible factors that may be contributing to the shedding of your strands. First of all, during your normal hair growth cycle, your hair sheds between 50 to 100 strands per day. However, you don’t lose them all at the same time, therefore you don’t notice the loss. As old hair stops growing and enters the resting phase, it falls out of the follicle and new hair begins to grow in its place. This process takes about two to three years. After a stressful event or a major lifestyle change that affects your body, more of your hairs can enter the resting phase at once. As new hairs start growing, the resting hairs will fall out almost all at the same time. This common physical response to stress triggers is also known as the medical term telogen effluvum. The good news is that this is only temporary and your hair should grow back as thick as it was before. Whether you are on the keto diet or any other diet, a strict reduction in calories can lead to serious vitamin deficiencies which can then trigger hair loss. Moreover, if your body is not receiving enough calories for its basic functions, it will direct available calories to vital organs such as your heart and lungs and slow or shut down less vital functions such as reproduction and/or hair growth. This is called starvation mode and puts a great shock on your system. During your first few weeks on a diet, try to reduce as much stress as possible and don’t start any intense exercise programs at the same time. This can also further contribute to hair loss. Wait until your body has gotten used to your diet before adding another lifestyle change. Make sure to rule out any of the above possibilities and make sure you are in the best health possible when you start your diet. 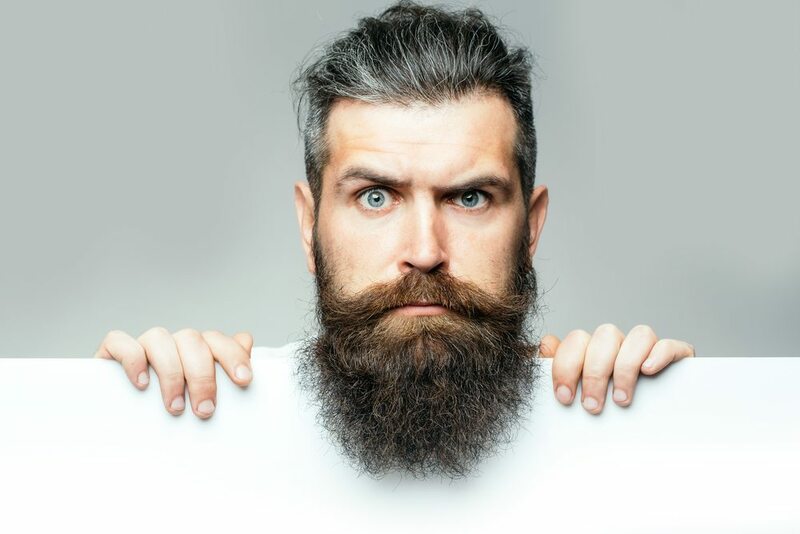 In the event that hair loss is caused by the keto diet, it is only temporary and your hair will regrow after a few months. While you may notice more hair falling out, it will not be noticeable to other people. Keep in mind that if you have long hair, it could take a year or more for your new hairs to completely grow back. Below are possible reasons for hair loss due to the keto diet as well as what you can do to minimize this side effect. If you lose weight too quickly on the keto diet (or any low carb diet), this can lead to vitamin deficiencies that can contribute to hair loss. Make sure to eat balanced meals and take a multivitamin supplement if needed. As stated earlier, if you drastically modify your keto diet to restrict carbs and fats, this will lead to a huge calorie deficit which will put your body into starvation mode. It is recommended that you implement the Low Carb High Fat (LCHF) diet so that you ingest the healthy fats needed. Eat as much fat as you need to feel satisfactorily full and not still hungry. If you are not taking in enough protein on your diet, this can impact your hair as well as your skin and nails which consist mainly of protein. A lack of protein can cause hair breakage and make it that much harder to grow. Make sure that you are eating adequate amounts of healthy protein to produce amino acids needed for keratin which strengthens your hair. In some cases, people on the keto diet can develop a malfunctioning thyroid. This results in abnormal hormone levels which then lead to loss of eyebrows, dry hair, and hair loss. Talk to your doctor if you suspect you may have issues with your thyroid. Furthermore, to improve your hair’s health, make sure to consume foods rich in biotin, zinc, iron, magnesium, vitamin B12, and vitamin E.
This water-soluble vitamin is crucial for hair growth and helps your hair follicles better absorb additional vitamins such as vitamin B, another essential nutrient for your hair. A deficiency in biotin can cause hair loss and dermatitis. A study conducted in 2013 and published in the Nutrition Journal found that individuals on the ketogenic diet have higher biotin requirements. Eating egg yolks can help you get the biotin you need along with sulfur and protein which also aid in hair growth. You can also consider taking biotin supplements. HEALTHY HAIR GROWTH. Pure Biotin to support healthy hair, glowing skin, and strong nails. Low iron levels, known as anemia, can also contribute to hair loss. Just like calories that are needed for your body to properly function, iron helps with the production of red blood cells that carry oxygen in your blood to different parts of your body. If there is not enough iron in your blood, this affects oxygen levels. Oxygen is then diverted to the more essential functions of your body and your hair’s health suffers. Make sure to eat iron-rich foods such as spinach and oats. It is also recommended to visit your doctor to get tested for anemia. If needed, you can also take an iron supplement for a period of time until your iron levels become normal. 90 fast melting tablets with "Zesty Orange" flavor. Iron mineral supplement. As we mentioned earlier, stress in and of itself, regardless of the source, can cause hair loss. Any type of significant lifestyle change such as a low carb diet like the keto puts additional stress on your body before it begins to adjust. Stress produces hormones such as cortisol which can block communication with your hair follicles. In this way, hair loss can occur indirectly while on the ketogenic diet. Do your best to reduce other sources of stress during the first few weeks on the diet. Make sure you get adequate sleep every night. If you plan to start a rigorous exercise regimen, wait for some time until your body adjusts to the diet. Deficiencies in collagen, l-glutamine, and zinc can result in poor gut health or leaky gut syndrome. While applying the ketogenic diet or any other low carb diet, make sure that your eating and lifestyle habits are promoting a healthy gut. If you have leaky gut syndrome, this can contribute to other health problems as well with hair loss being one of the symptoms. Consider taking collagen, l-glutamine, and zinc supplements to keep your gut healthy. Make sure to eat enough citrus fruits and tomatoes which are all rich in vitamin C. This vitamin helps your body absorb iron. If you are normally very active, you may require more calories to fuel your activity and prevent muscle loss. It is a good idea to calculate how many calories you are burning per day so that you know how many calories you need to take in. Devices such as a Fitbit can monitor your activity. Also, talk to your doctor or a nutritionist to determine how many calories you need to consume on a daily basis. Because the ketogenic diet is a low carb diet, you need to ensure that you consume enough protein and healthy fats to make up for the reduction in carbohydrates. Great protein sources are meats, poultry, and fatty fish. Additionally, plant-based sources of protein are seeds, nuts, and legumes. Healthy fats also include seeds and nuts as well as avocados and olive oil. In general, eat a balanced diet and be sure to include plenty of fiber. Fiber-rich foods include fibrous vegetables like celery, broccoli, and carrots. Reduce your stress levels. When starting a low carb diet like the ketogenic diet, be kind to yourself and congratulate yourself on making this lifestyle change. For the first few months, adhere to your diet but take it easy. Do not over restrict or deprive yourself or your body. Make sure you get enough rest by sleeping at least 8 hours every night. Adequate rest is just as crucial as exercise. Stay hydrated at all times – drink at least 8 cups of water per day; more if you are active. Eat foods rich in the following vitamins and minerals – zinc, biotin, vitamin B12, iron, magnesium, and vitamin E. All of these will help keep your hair strong and healthy. If possible, go organic. Try to avoid any chemical exposure by using plant-based organic products. When it comes to nutrition, balance is key. When reducing your carb intake, you also need to increase other energy sources via proteins and healthy fats. Make sure you are getting all of the nutrients you need so that your hair and entire body are in the best health possible. In addition, this diet reduces the risk for chronic diseases, improves mental performance, and slows down the ageing process. Please note that you should first speak to your doctor before starting any diet and follow his or her instructions. Your first priority is always your health and well-being. Keeping these important tips in mind will set you up for successful weight loss, better health, and your hair will thank you!